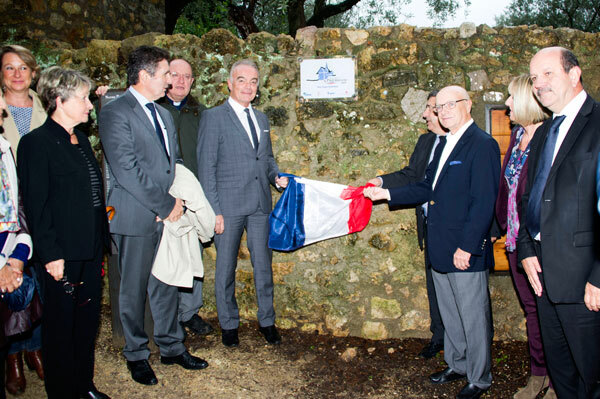 At a ceremony at the Sanctuaire Notre Dame de Vie in Mougins, Richard Galy was presented with the “Rubans du Patrimoine ” for the restoration of the chapel. 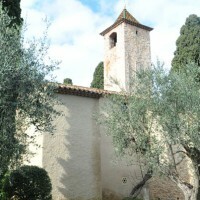 The Sanctuaire Notre Dame de Vie is located at 6km from the village of Mougins, near the pond of Fontmerle. 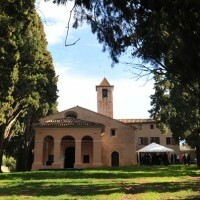 This wonderful site with its Tuscan-looking chapel, lined with tall cypress trees, is standing next to Picasso’s estate called l’Antre du Minotaure. 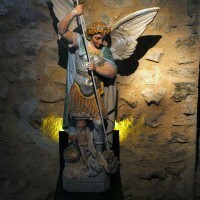 The Sanctuaire Notre Dame de Vie has become a unique place for cultural exchange. 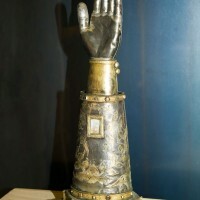 It now hosts the Festival des Nuits Musicales de Notre-Dame de Vie as well as temporary exhibitions. 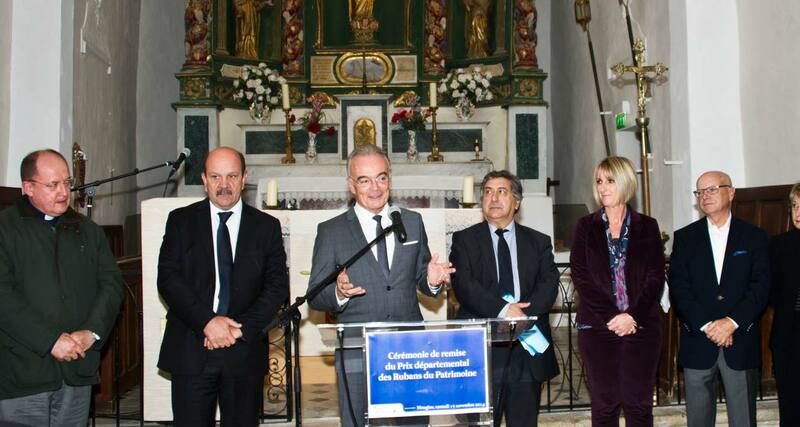 The ceremony was held in the chapel of the Sanctuaire Notre Dame de Vie in Mougins in the presence of Richard Galy, Mayor of Mougins, Honoré Colomas, President of the Association of Mayors 06, Isabelle Lefèvre, Director of the Sophia Business Centre of the Caisse d’Epargne Côte d’Azur, Jean-Louis Marques, Departmental Delegate of the Heritage Foundation and Laurent Trocmé, President of the BTP Federation (construction) of the Alpes-Maritimes. 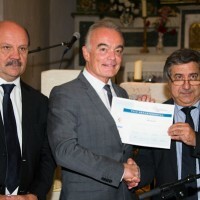 Mayor Richard Galy has been awarded this distinction by the Association of Mayors of France, the Heritage Foundation, the Fédération Française du Bâtiment and the Caisse d’Epargne. 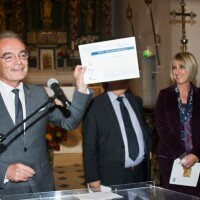 The Rubans du Patrimoine competition, created in 1994 under the name of “Winning Cities and Villages” is designed to reward, through national and departmental prices, the municipalities and mayors of France who have distinguished themselves in improving the living environment and the built heritage. 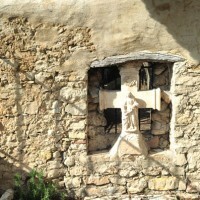 The competition also aims to highlight the qualities of a site as part of an identical restoration and value the cultural destination of the place. 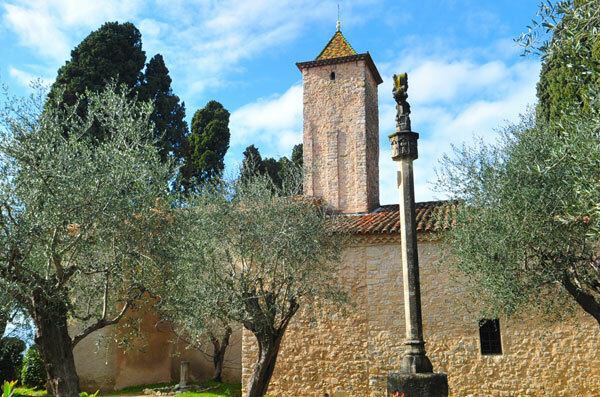 The renovation rewarded at the Sanctuaire Notre Dame de Vie involves the rehabilitation of the priory and the construction of a cultural center for painting, sculpture and literature workshops, as well as the creation of a museum that houses the Treasury the chapel. 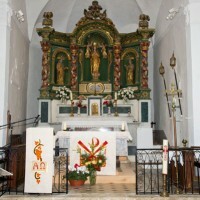 It also hosts the Gallo-Roman remains, witnesses of the long history of the Chapel and many ex-voto. 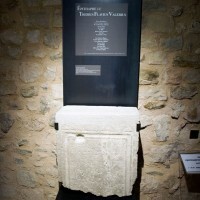 We can now discover valuable objects such as tombstones and the reliquary arm of Saint Honorat, the Abbot founder of the Lérins Islands monastery or various sculptures of the Virgin Mary. 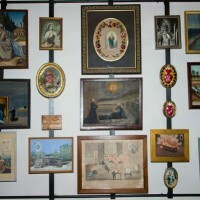 It also has a space dedicated to the processions and the Brotherhoods of Penitents. 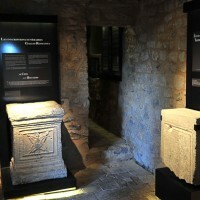 On the first floor, a documentation room allows visitors to access more information about this historical site. 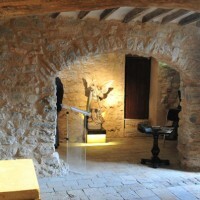 From floors to ceiling anything has been renovated. 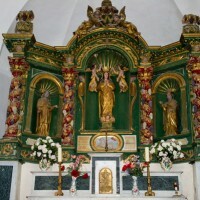 The greenery surrounding the sanctuary was also rehabilitated. 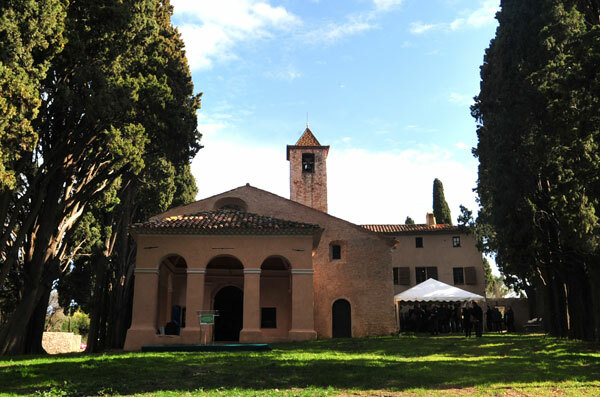 It brings together all the aesthetic characteristics of religious monuments of the seventeenth century and evokes, by its exterior layout framed by cypresses, the Tuscan landscapes. 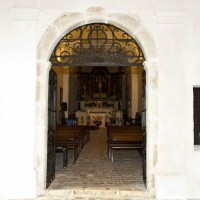 The porch is decorated with three elegant arches and the steeple is topped by a bell tower covered with glazed tiles. 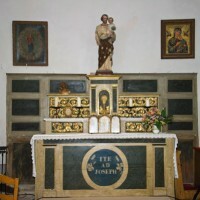 The prominent place of worship was hosting many nocturnal processions organized by the White Penitents. 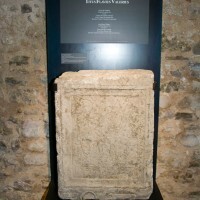 It was above all a “respite sanctuary” to where families came from all over the region to have their stillborn baby baptized. 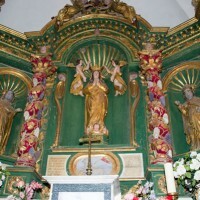 Hence the name of Notre Dame de Vie, as the children, supposedly resurrected for a few moments, could be baptized. 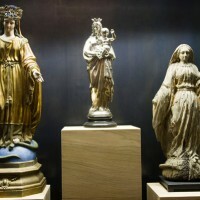 The amount of work for the restoration of the Sanctuaire Notre Dame de Vie amounts to more than one million Euros. 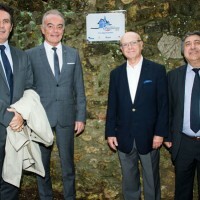 Some generous donors have contributed to the renovation by donations reaching a total of € 197,000.